People learn at a very early age just how important trees are to the world – they give us shade from harmful UV rays, hold the soil together to prevent erosion, and play a vital role in providing air. It is easy to admire their utility, however it is very easy to overlook just how interesting and beautiful they can be. 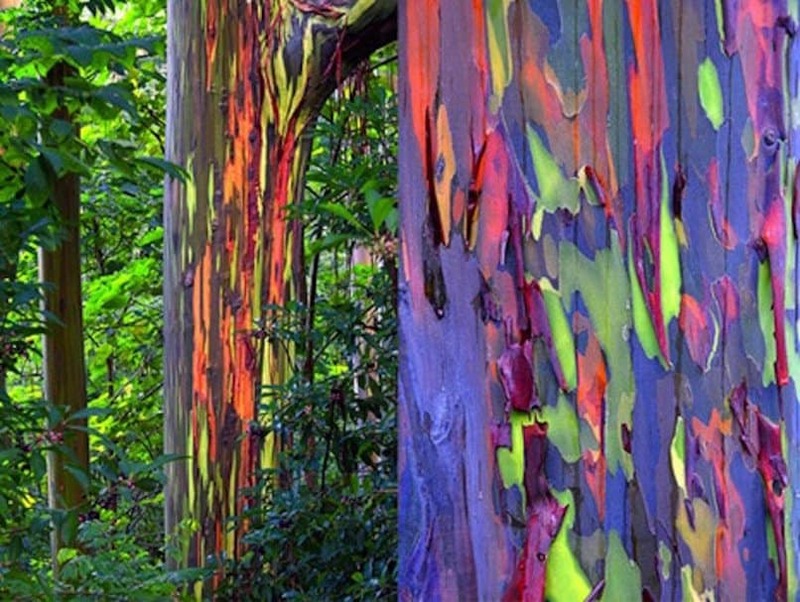 Here are a number of strange and wondrous trees from across our amazing planet for your enjoyment. Perhaps you read The Little Prince as a child and are familiar with the name, but most are probably not able to easily recognize this oddly shaped African native. 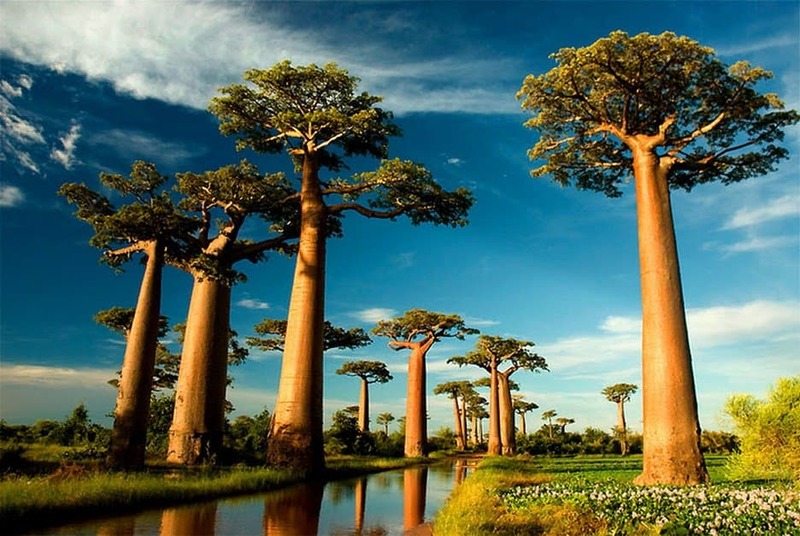 The more uniquely shaped of this species is the Teapot Baobab, which has a fire-resistant trunk that can store great amounts of water. Despite its gruesome sounding name this sculpted looking tree is a strange and beautiful sight on the Socotra island of Yemen. 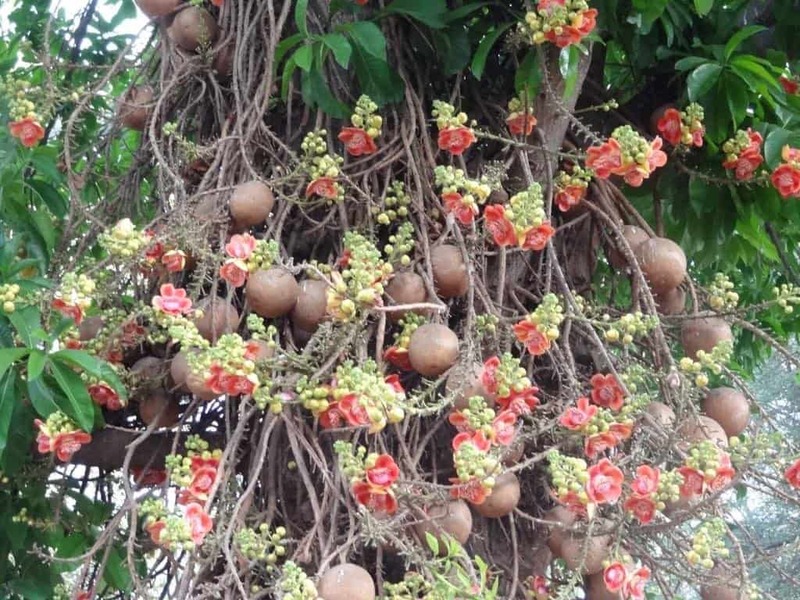 Various parts of the tree have homeopathic uses, such as the root – which is used as an astringent and a toothpaste, the resin – used as a dye due to its deep red color, and the leaves – which are used to prevent flatulence. Highly sought after to grace gardens for its romanticized aesthetic appeal, this beautiful flowering tree is actually a member of the Pea family. 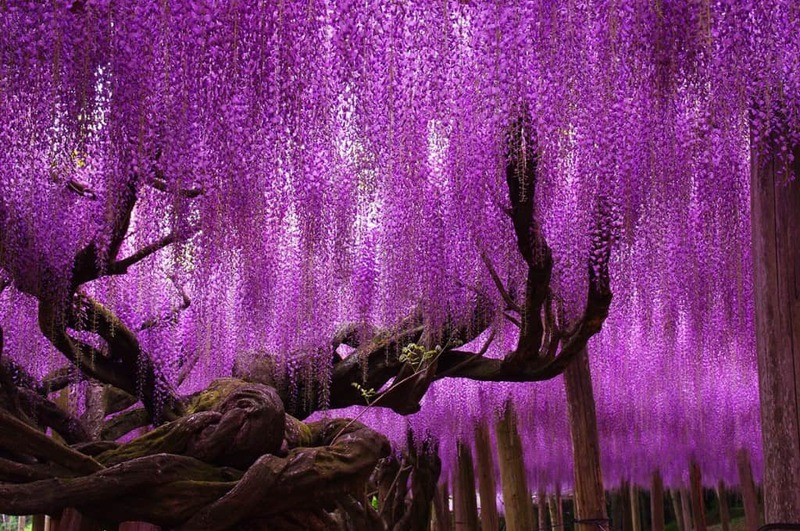 With the longest flowering racemes of any Wisteria, the tree’s flowers come in a variety of vibrant colors such as white, pink, violet, and blue. 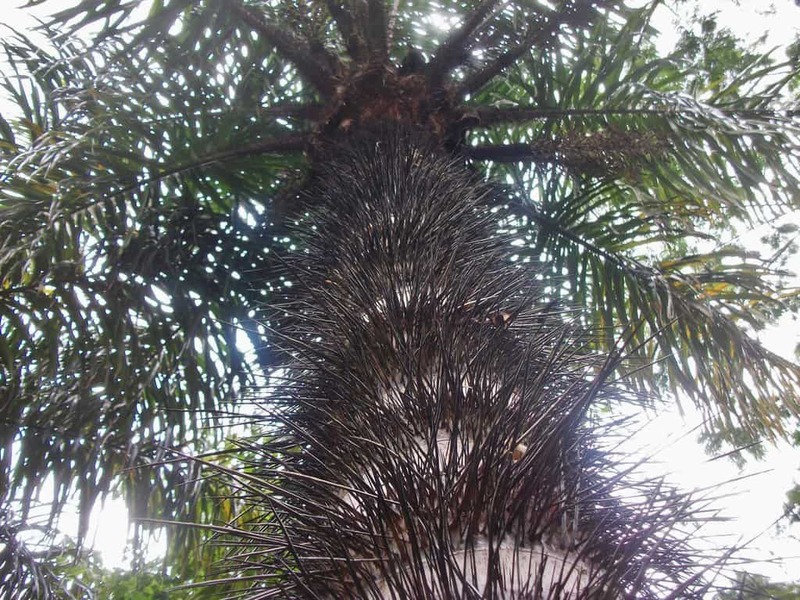 Native to the tropical South and Central American forests, this notorious tree armed with mean-looking black spikes is commonly also referred to as a Peach Palm. The plant is often cultivated for the fruit is bears, which are quite nutritious; though they have to be cooked for several hours to be edible. 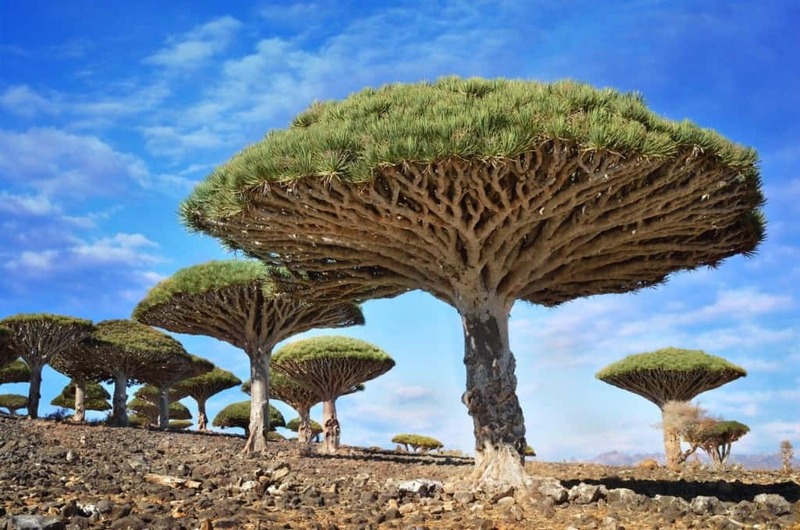 If you’ve never heard of these amazingly massive species of flora, then you’ve probably been living under a rock. 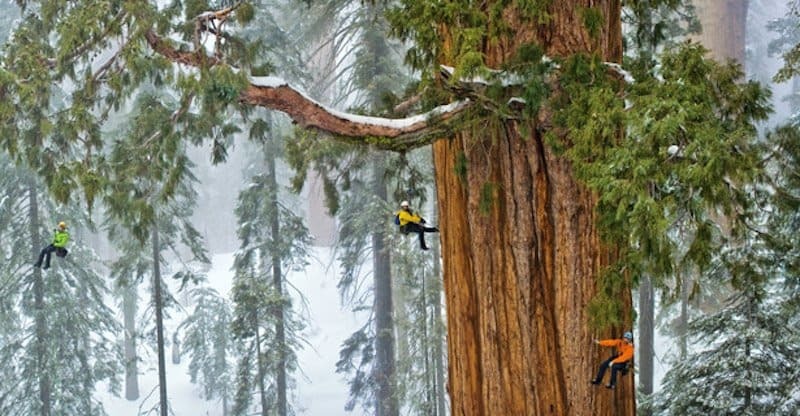 By volume, these are the biggest trees in the world. Giant Sequoia’s can be found in the forests of Sierra Nevada, California. 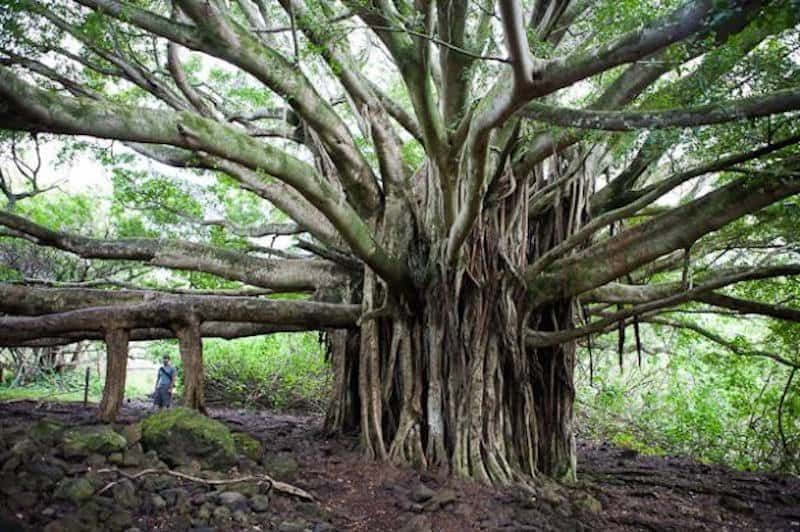 The national tree of the Republic of India, the Banyan tree begins its life as an epiphyte, or rather a plant that grows on another plant, as its seeds germinate in the crevices of the host tree. The older trees are generally more easy to identify from their aerial prop roots, which can often grow to be so thick they are often indistinguishable from the actual tree. Because it is so common and has so many varying species, it’s easy to write off the Oak Tree as something unremarkable, but that couldn’t be farther from the truth. Usually prized for its wood, the world has so many examples of how beautiful this plant can be no matter how often it is overlooked. No, those are graffiti covered trees. Found natively in the Northern Hemisphere in locales such as New Guinea and New Britain, these multi-hued beauties are grown around the world in plantations for its pulpwood, used in paper making. Though it looks relatively ordinary in the Spring and Summer months, this plant comes into some of the most vibrant warm colors you’ll see during Autumn. 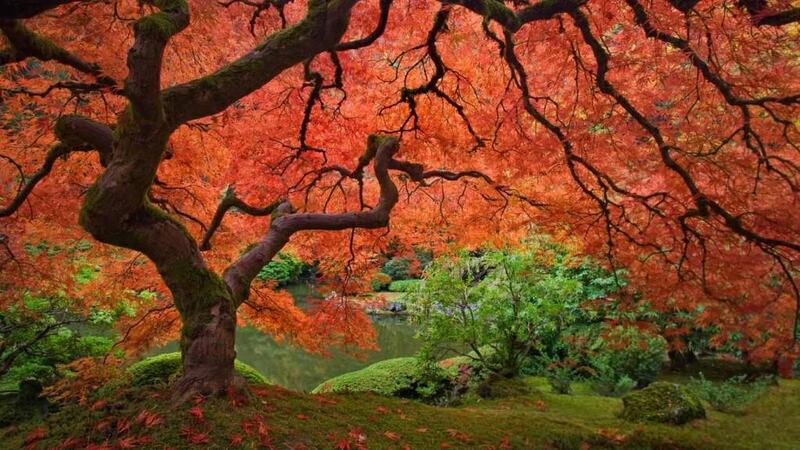 Because of the fiery red-orange that the leaves turn into, the Japanese Maple is a highly sought after plant in the world of landscaping. After looking at the picture, you might be surprised to know that this tree is not at all covered with some kind of strange parasite. 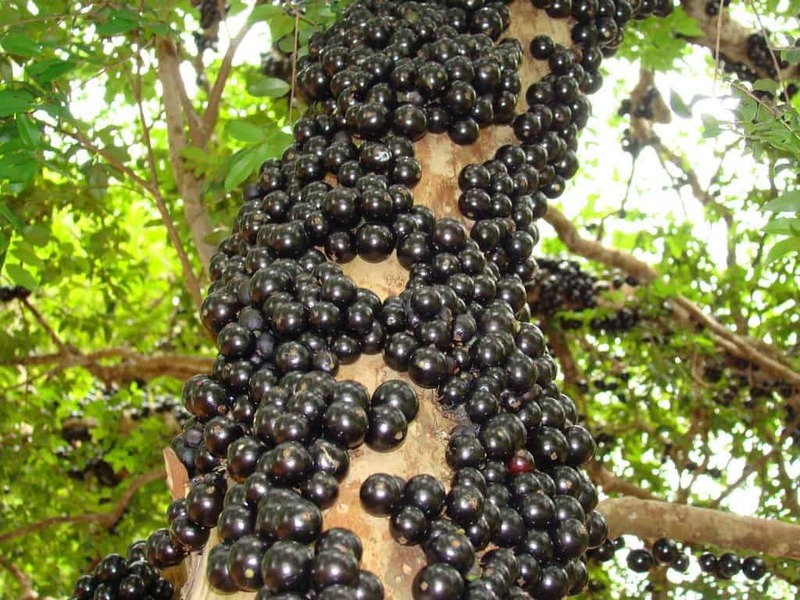 Native to Brazil, the fruit of this bizarre tree, often compared to grapes, grows out of the trunk instead of the tree’s branches. 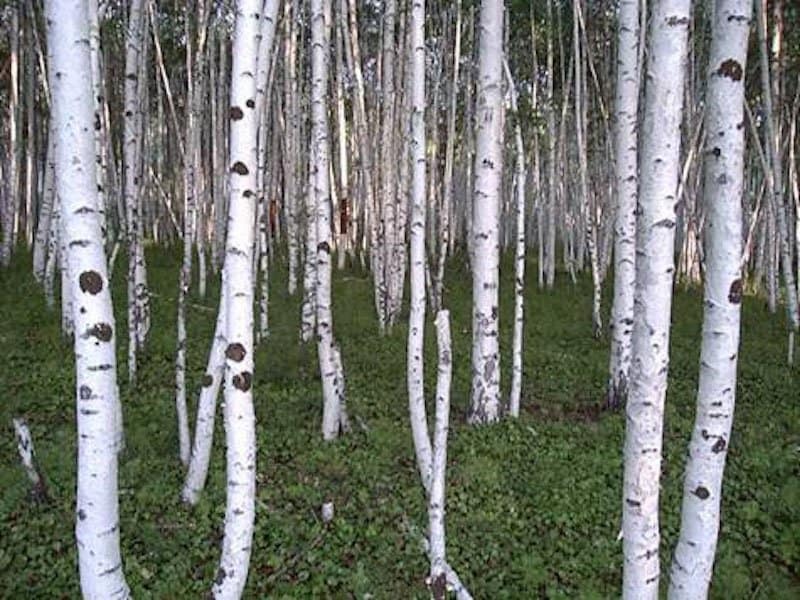 The official tree of the state of New Hampshire, the bark of the White Birch was a very important resource for Native Americans living on the Northern part of the continent. Tribes used it for all manner of things including canoe and wigwam building, among other things. Although coniferous trees are known for being evergreen, the Bald Cypress is one of the few species that sheds its needles during the fall like other trees. 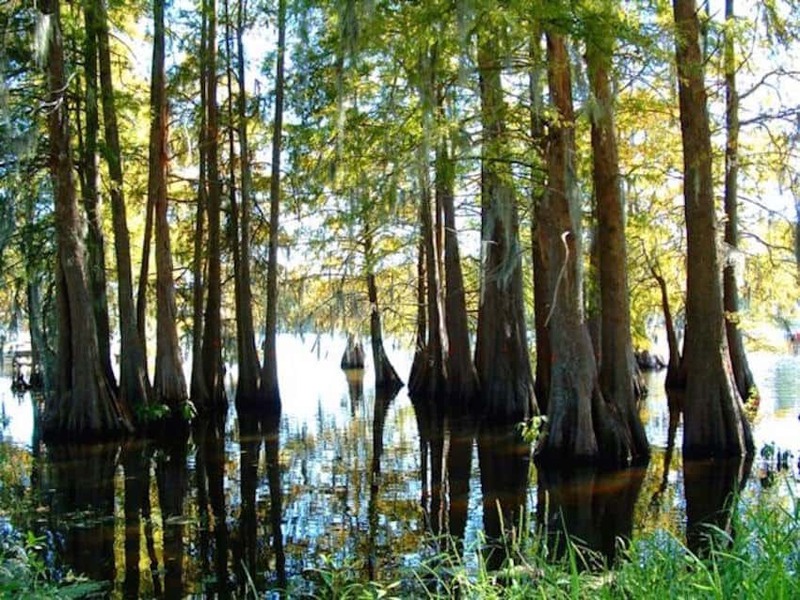 They usually most recognizable by their “knees”, or rather the special air bearing roots that bulge out at the tree’s base that helps it survive in its native swampy environment. 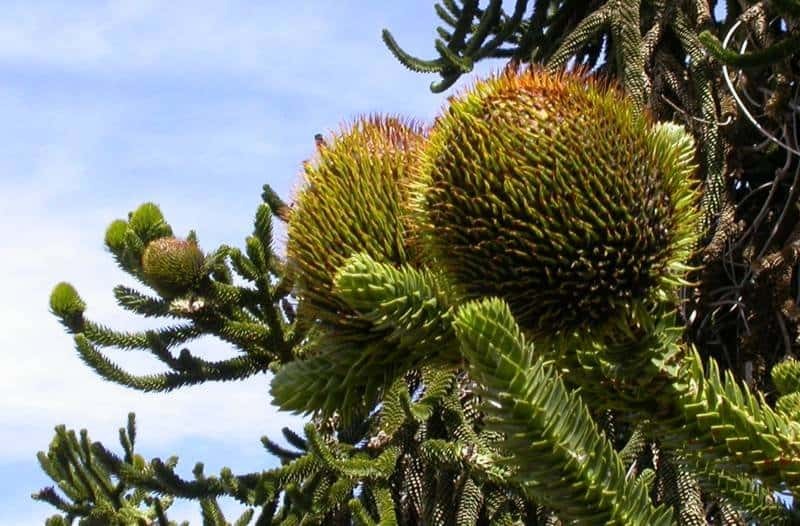 The national tree of the country of Chile, this species of evergreen can grow up to 130-feet tall with a 7-foot wide trunk. Because the species has been around for such a long time, it is often referred to as a living fossil. 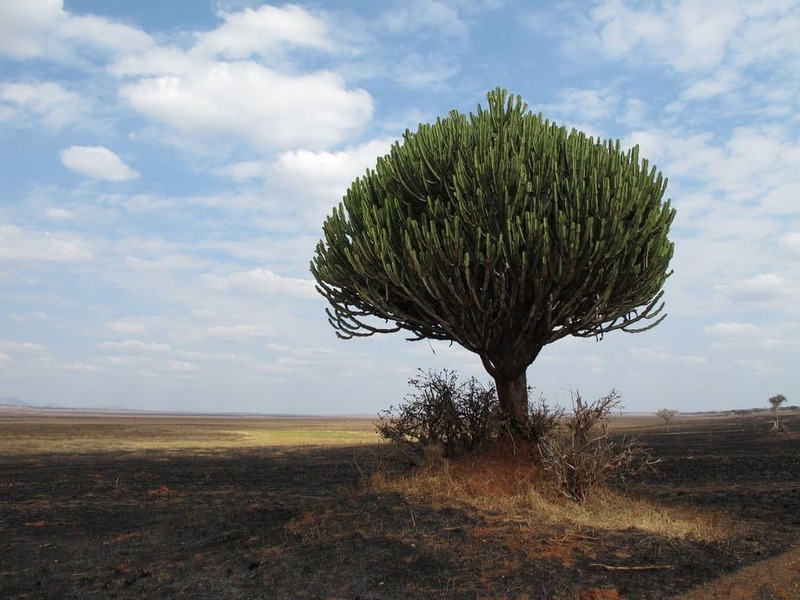 Aptly names for its appearance, the Candelabra Tree grows along the Equator in the East Indies and Africa. Despite how striking it is, especially when it is covered with its yellow mid-winter flowers, the tree is quite poisonous; the sap will cause blisters if it comes in contact with skin and can blind if it touches the eye. 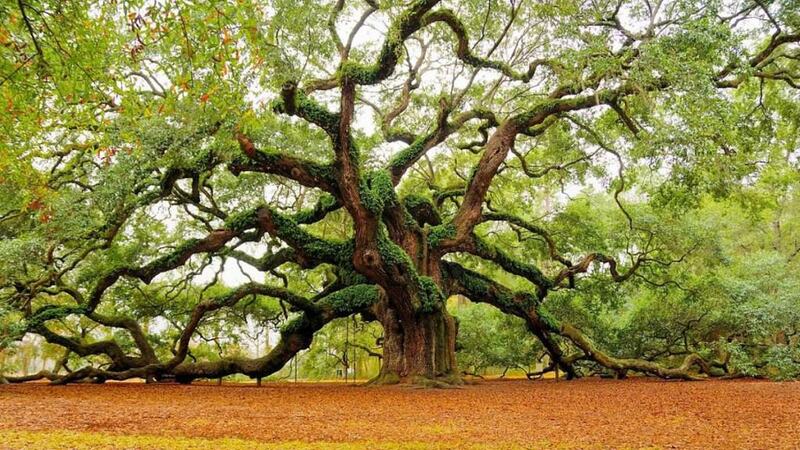 There probably isn’t a more fitting name for any other tree on this list. 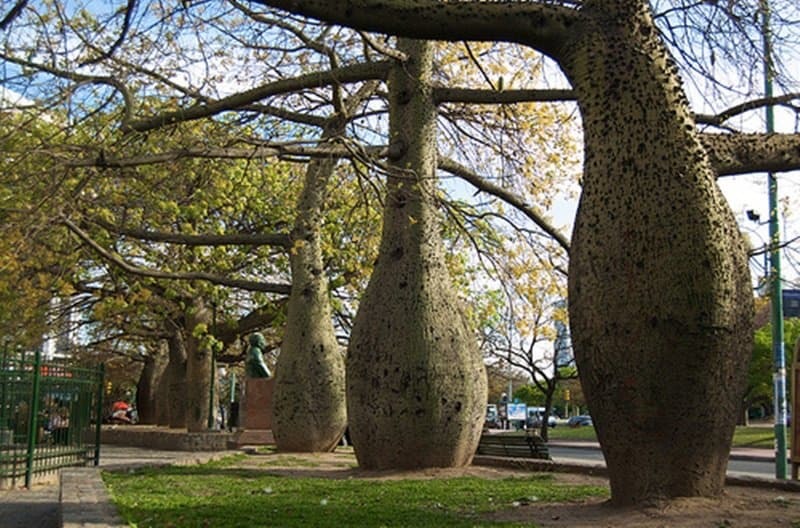 Found mostly in South America and the Caribbean, this tree gained its name because of the large fruit it bears, which averages 10 inches in diameter. When the fruit are ripe, they fall from the tree and could easily seriously harm unknowing bystanders. 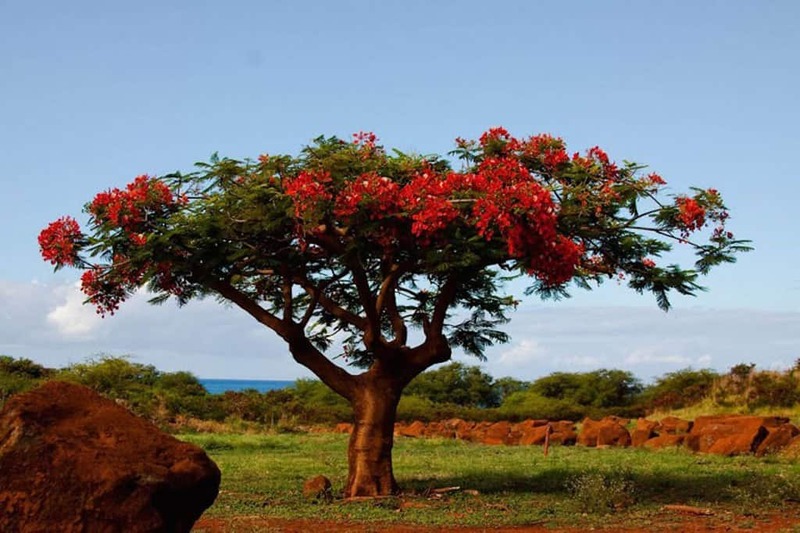 This tree, also sometimes referred to as the Nandi Flame because of the fiery red color of its flowers, is believed by many to be one of the most beautiful flowering trees in the world. Despite its use in ornamental landscaping, the plant is considered by many to be a weed because it is so invasive. 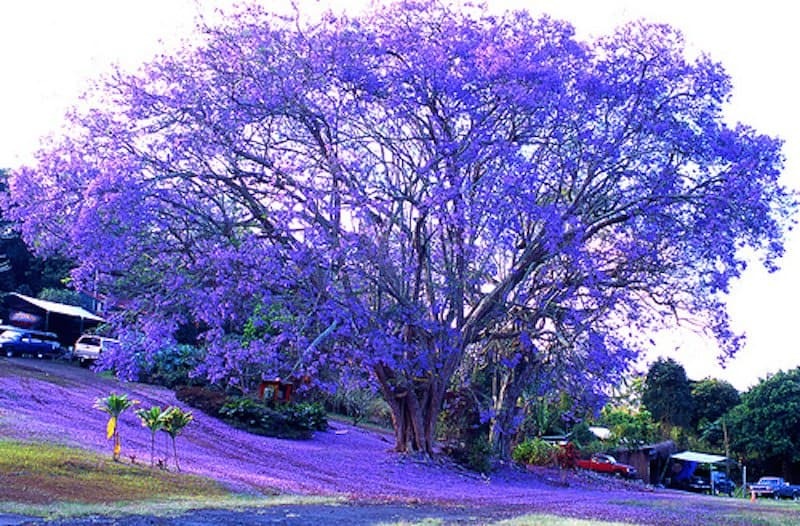 These gorgeous trees with long-lasting blue-purple blooms can be seen in gardens and landscapes all around the world. Extracts from the tree’s wood combined with water have been known to help resist Staph infections and E. coli. As called the Bottle Tree, this funny shaped tree is covered in thorny spikes during its early years to discourage predators. In its native South America, there is a legend that the beautiful bride of the hummingbird god Colibri hid inside one of these trees to give birth to her son to keep him safe from evil spirits; although her son lived, she remained in the tree where she died. It is said that when the tree blooms with bright pink flowers that are loved by hummingbirds, the goddess is emerging to greet her husband. 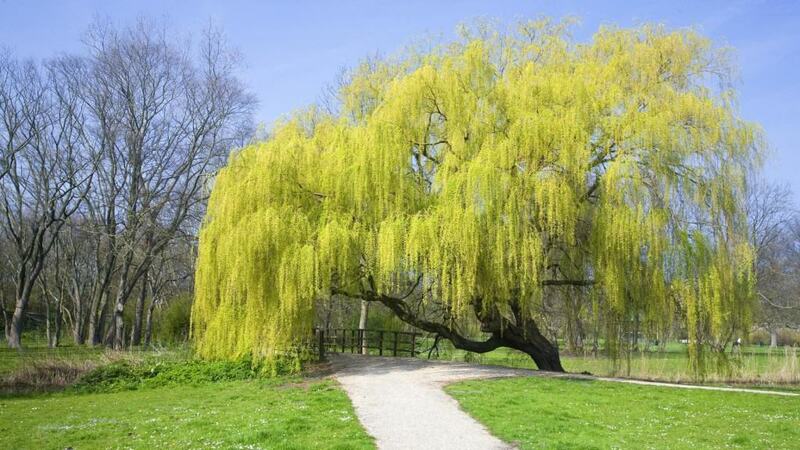 Though many kinds of willow trees exist, it is hard to mistake the Weeping Willow for any other tree because of its elegant, drooping branches. Though it is most often used ornamentally, the wood is used for a variety of manufacturing purposes (cricket bats, broom handles and furniture) as well as medical applications as its bark contains salicylic acid, an important anti-inflammatory. 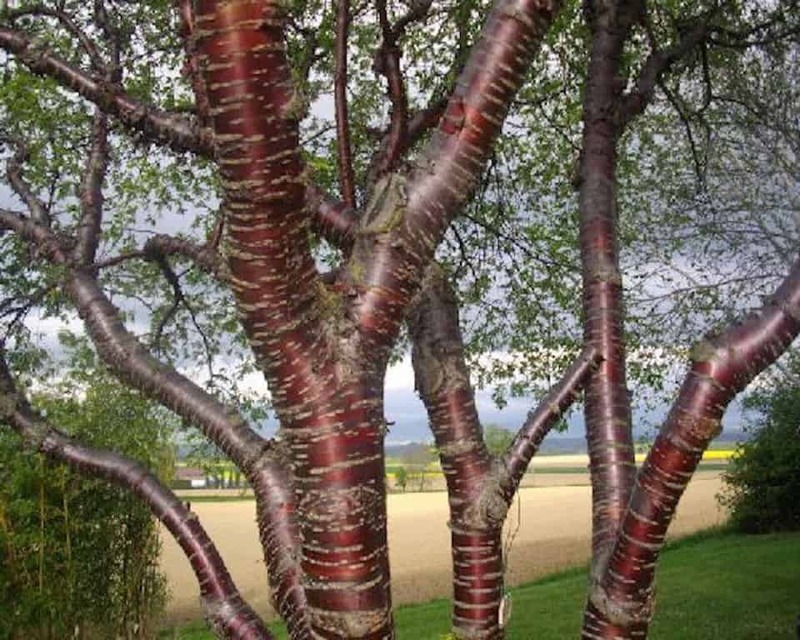 As it is prone to boring insects and plant diseases, the Paperbark Cherry, also called the Tibetan Cherry, is a very short-lived tree. When it does manage to grow to full size, it is covered with a beautiful coppery red bark.